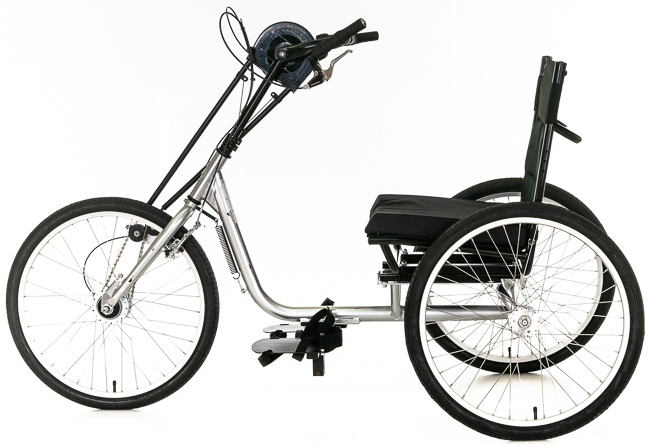 Our version of the HT-3 features a hand-powered 8-Speed Shimano drive train. 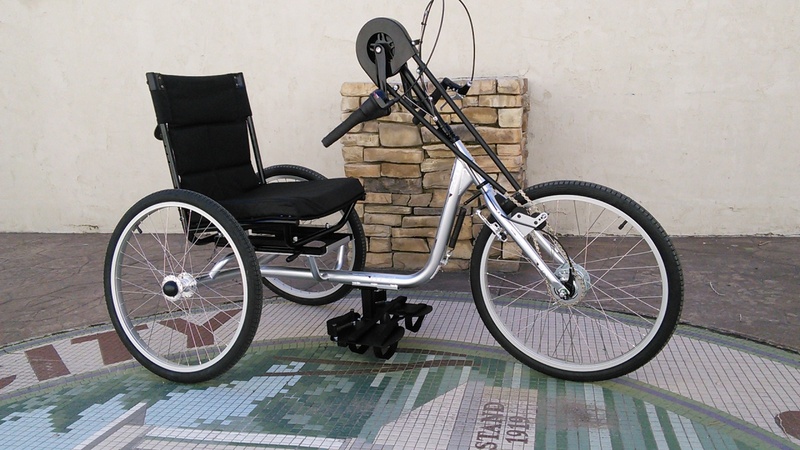 A ball-bearing seat adjuster makes seat positioning and rider transfer a breeze. 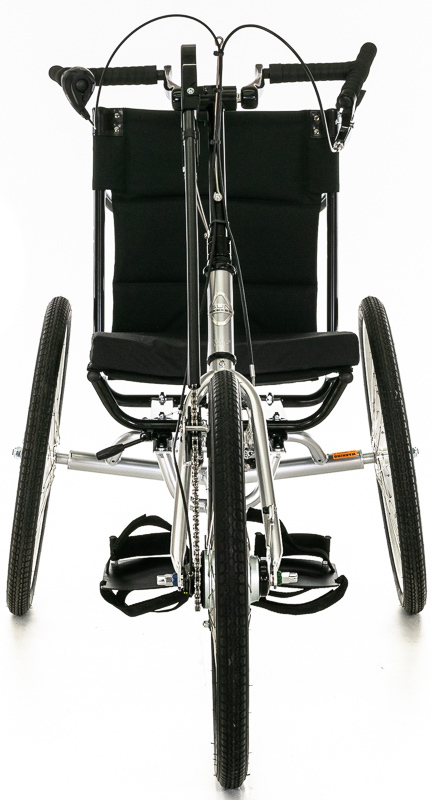 The HT-3 has an adjustable crank height, forward and aft seat adjustment and independently adjustable foot rests to give all riders a custom fit. 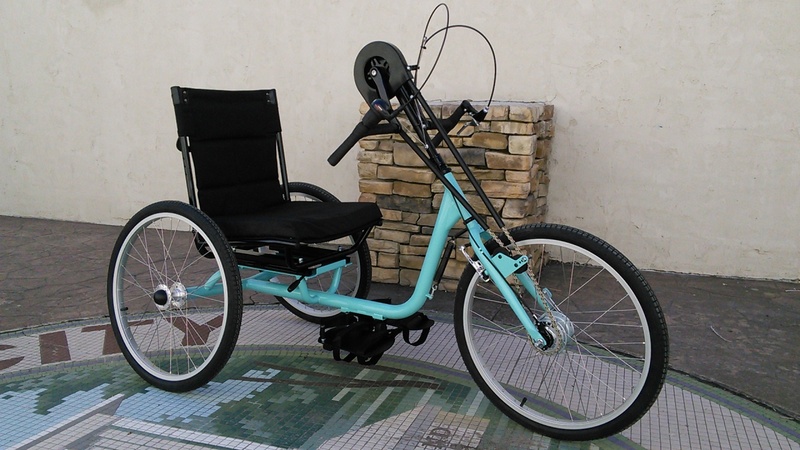 Cambered rear wheels and a long wheelbase give this trike exceptional stability, and the front parking brake facilitates a safe transfer. 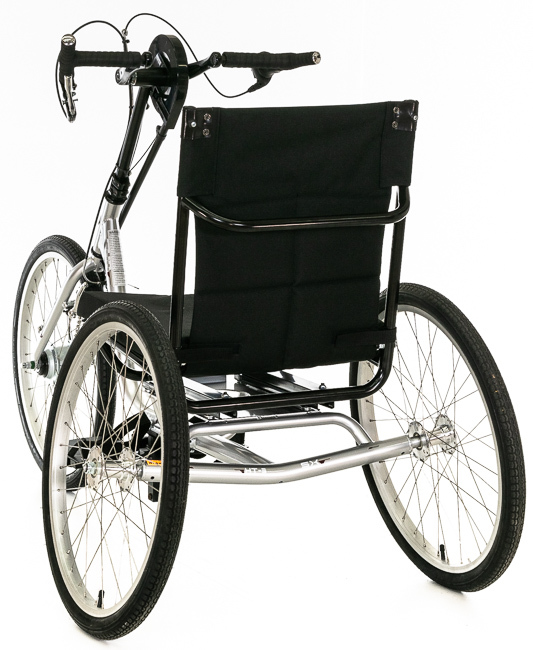 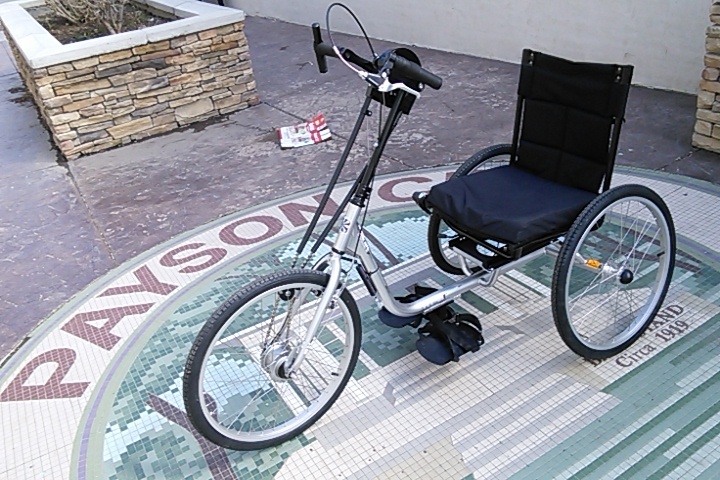 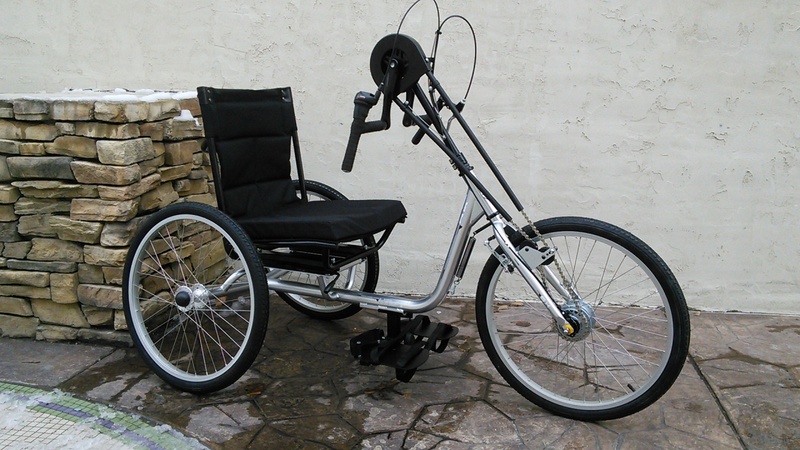 Sun Bicycles' new HT-3 Hand-Trike is designed to get persons with disabilities out riding. 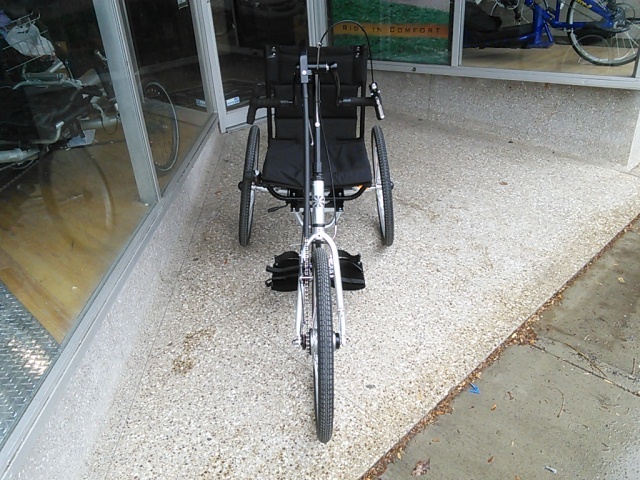 It's also great for those riders looking to balance their excersize with a terrific upper body workout. 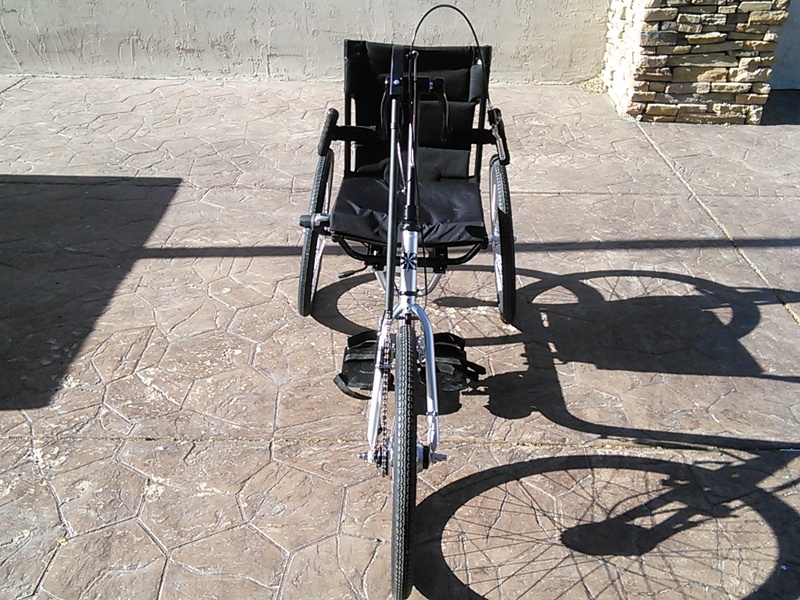 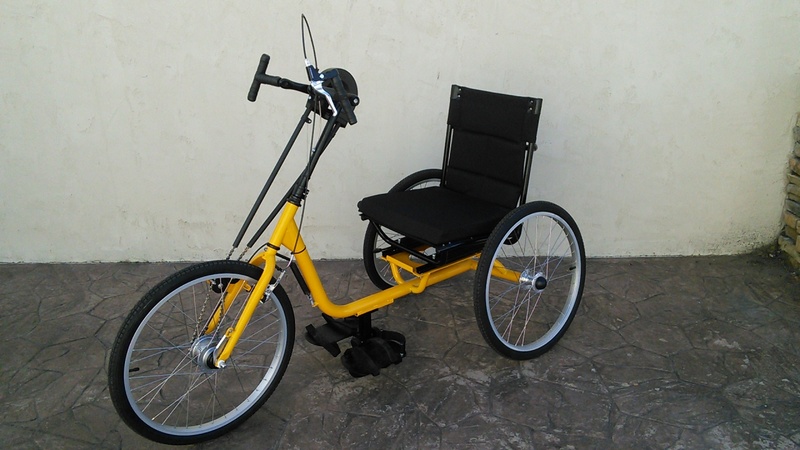 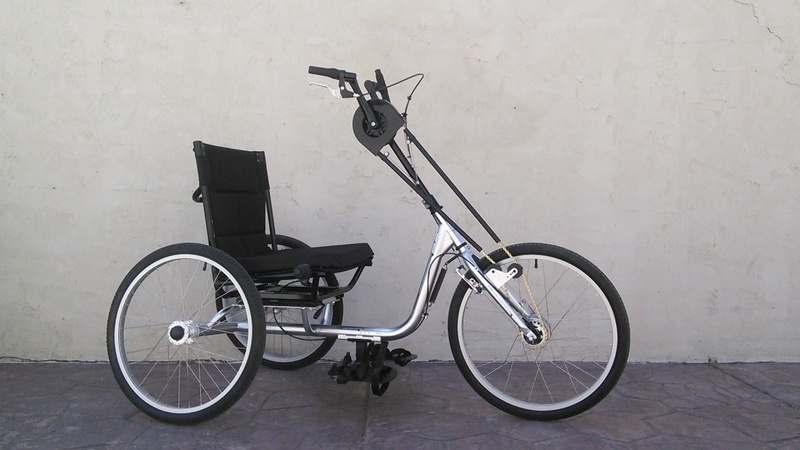 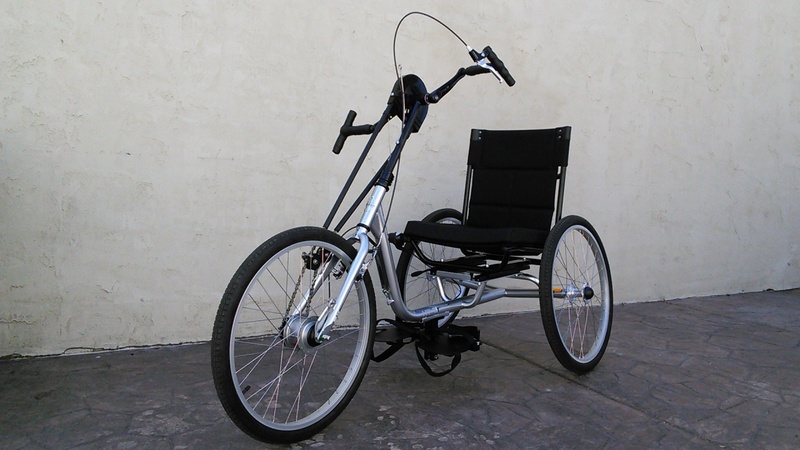 We have also made several custom adaptations of this trike to handle both hand and foot pedaling.